JERUSALEM (JTA) — Some 1,200 illegal migrants who will be released from a Negev detention facility will not be allowed to settle in Tel Aviv or Eilat. The migrants, mostly asylum seekers from Eritrea and Sudan, will receive a temporary residence permit when they leave the Holot center that will prevent them from entering the two cities, where the majority of illegal migrants from Africa are living. Public Security Minister Silvan Shalom proposed the plan, which the courts reportedly have approved. The migrants are due to be released on Tuesday and Wednesday, according to reports. The releases come two weeks after Israel’s Supreme Court ruled that the provision in the current “anti-infiltration law” allowing the migrants to be held for up to 20 months at the Holot center is “disproportionate.” The court ordered that they can only be detained for up to 12 months while the law is revised. The Knesset has six months to revise the law, which passed its final readings in December. 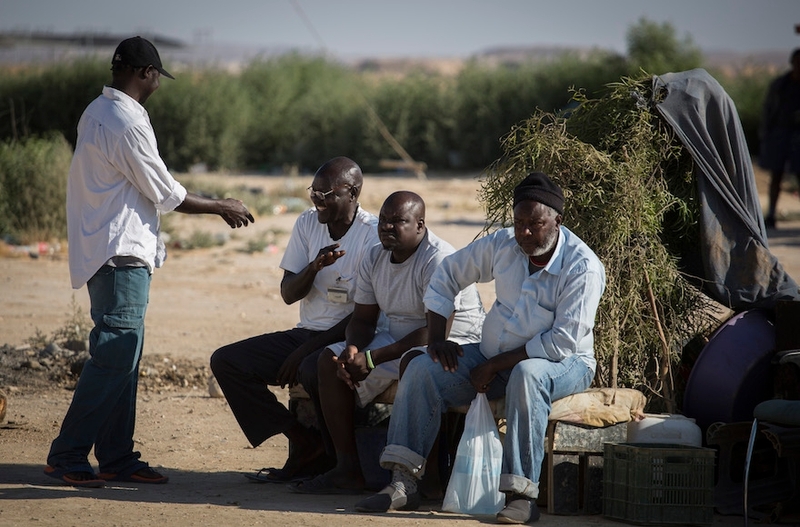 More than 40,000 Eritreans and Sudanese are in Israel, most illegally.